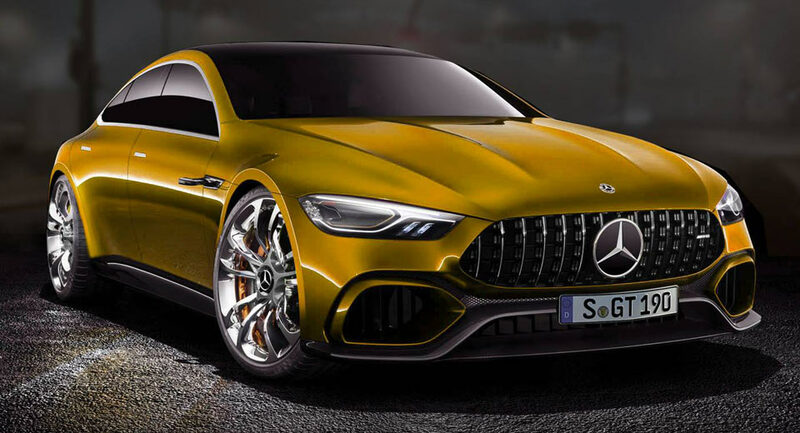 It’s not much of a secret that Mercedes-AMG plans to build a production version of their GT Concept that was revealed earlier this week at the Geneva auto show. 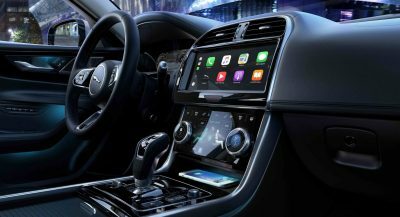 No doubt, many will be wondering how the study will translate into a road-going car. 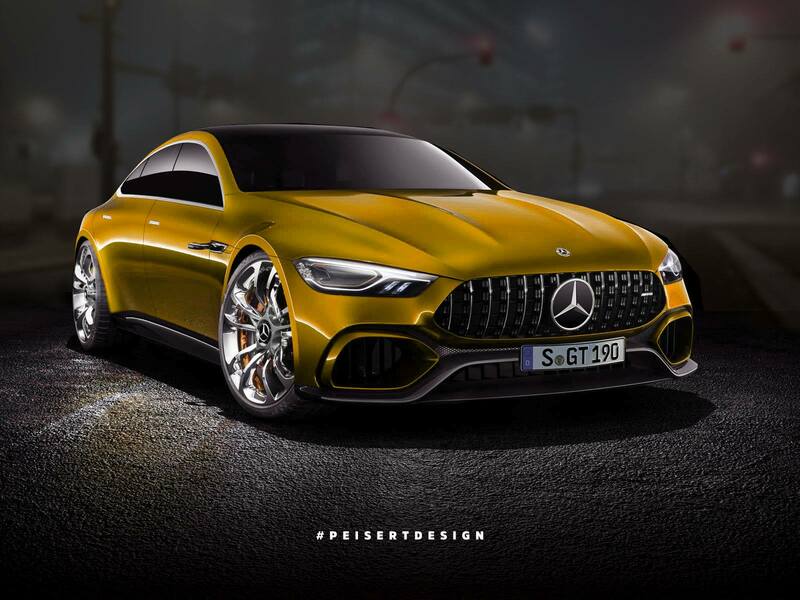 This render from PeisertDesign tries to do that by removing some of the flashier parts and giving it a tweaked grille and rear diffuser that incorporates a regular twin exhaust setup. It’s a start, but he should have added door mirrors and replaced the over-the-top chrome wheels, if you ask us. 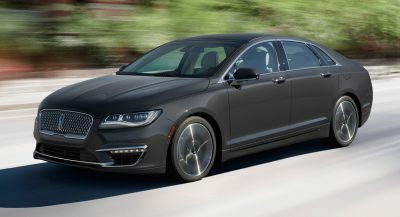 Now, we don’t know if the four-door coupe will keep the study’s powertrain in its final form, but by combining the 4.0-liter twin-turbo V8 engine with an electric motor, its output has increased to more than 800 horses. 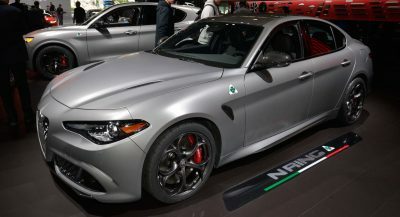 This makes it significantly more powerful than the Porsche Panamera Turbo S E-Hybrid and its 671 HP, and allows it to go from naught to 100 km/h (62 mph) in less than 3 seconds. 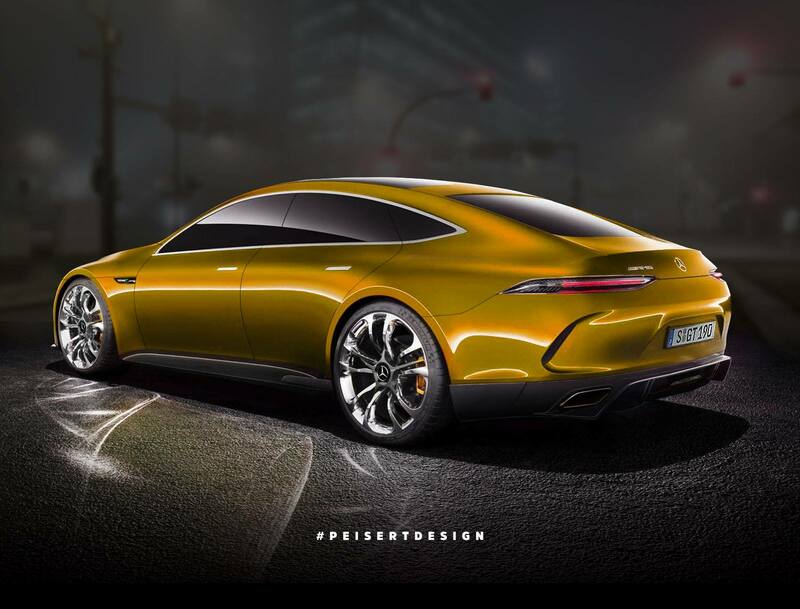 Mercedes‘ parent company Daimler has yet to announce when the production version of the GT Concept will arrive, but in the meantime, they’re prepping the launch of the Project One hypercar, which is due at the 2017 Frankfurt Motor Show, this fall. We probably will… Does it look strange to you too? I agree that it’s a silly way of implementing the cameras. I do like when the people who create the renders actually are involved with the discussion. If you could reach out to them more, that would improve these articles.